You'll be £19.99 closer to your next £10.00 credit when you purchase Elite Panzer Strike Force. What's this? The Panzer Lehr Division, a German armoured division during World War II, was one of the most Elite units in the entire German Wehrmacht Heer. It was formed in 1943 from various units of elite training and demonstration troops stationed in Germany, to provide additional armoured strength for resisting the anticipated Allied invasion of western Europe. Its great weakness was that it concentrated the cream of Germany's tank commanders and instructors in a single unit. Due to its elite status it was lavishly equipped in comparison to the ordinary Panzer divisions, though on several occasions it fought almost to destruction, in particular during Operation Cobra. For the first time in English, this book follows the division from Normandy and the Battle of the Bulge to the end of the war, showing how Germans fought Americans at St. Lô and Bastogne. Written in Kurowski's trademark you-are-there style, this includes numerous firsthand accounts based on interviews with veterans. This is a good example of the sort of unit history that is quite familiar on the British side, where it normally covers a single regiment. The scope here is enlarged to cover an entire division, but the feel is the same, with a mix of a good narrative account of the fighting and detailed personal memories of individual incidents. One gets a good impression of how devastating Allied artillery bombardments could be, but also of how robust the German army was on the defensive. The author provides a detailed account of all battles and engagements fought together with a number of useful appendices.. 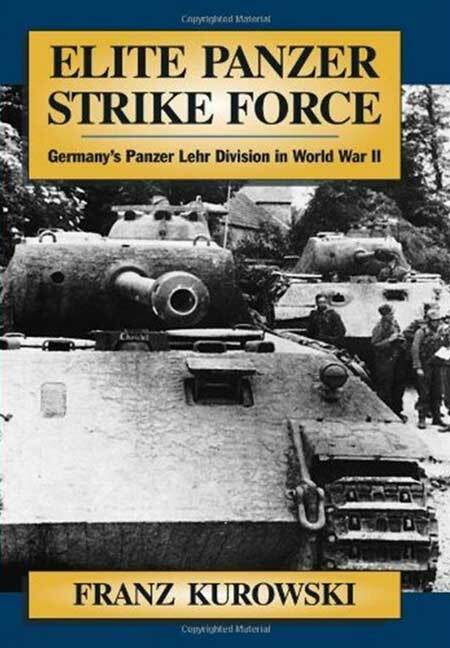 This book is illustrated with 60 photographs and can be recommended to all those interested in tank warfare, the German Army and the Second World War in general. This book follows the elite Panzer Lehr Division into the welter of battles from Normandy to the bitter end in the Ruhr pocket, focusing on the men who commanded the tanks, fired the rockets, and endured relentless aerial attacks.